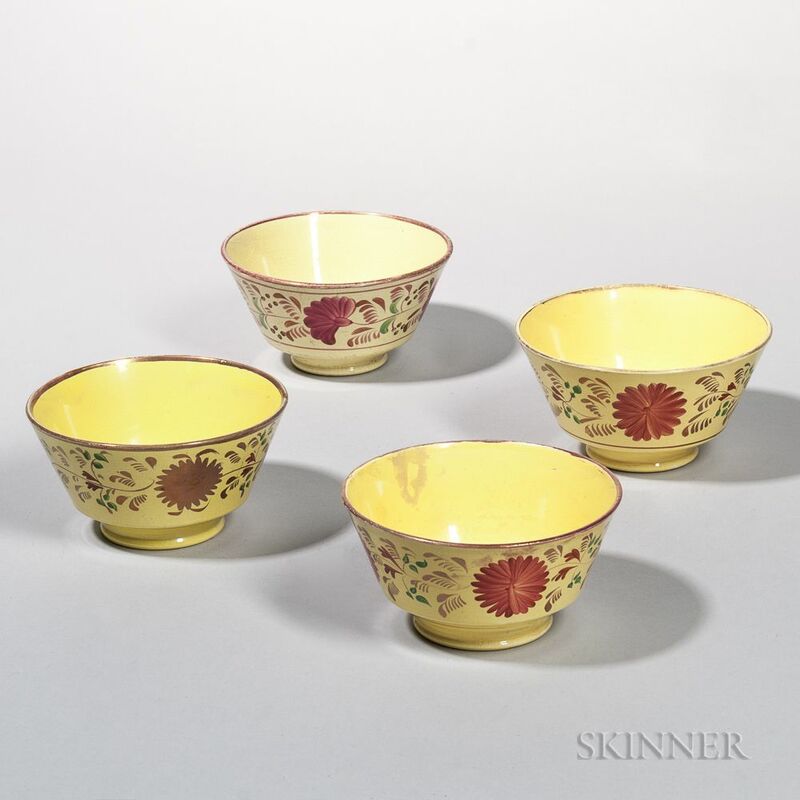 Four London-form Yellow-glazed and Luster-decorated Earthenware Bowls, England, early 19th century, decorated with flower and leaf pattern, ht. 3 1/2, dia. 6 3/4 in.